The Standard Class 9f No. 92212 is currently visiting the Severn Valley Railway from the Mid Hants Railway (Watercress Line) and will be staying until the Autumn Steam Gala in September. It is One of Nine 9f Locomotives which avoided being scrapped. 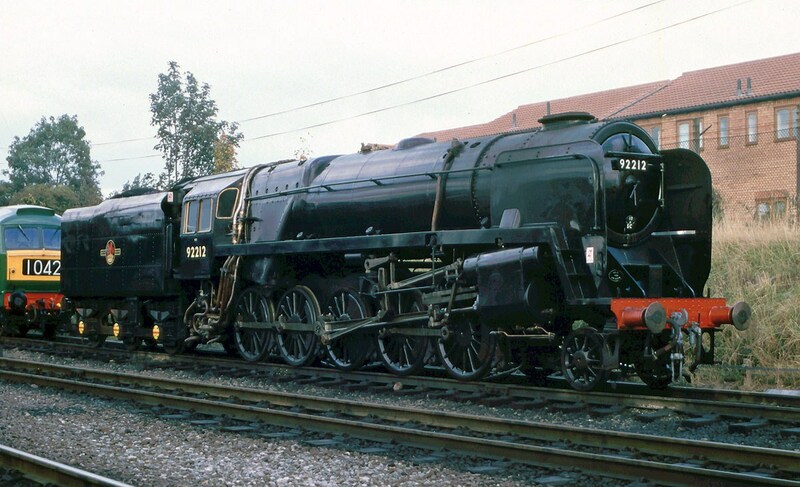 Some others being 92220 Evening Star, which is part of the National Collection and 92203, which was purchased by noted artist and Conservationist David Sheperd in 1967 and given the name Black Prince. 92212 was one of the last 9f’s to be built at Swindon and was allocated first to Banbury, then moved to Bath, then it was transferred to Ebbw Junction, Newport, Gwent and finally to Tyseley where it remained until the end of steam, when it was sold to Woodham Brothers Scrapyard in Barry. It was then purchased by 92212 Holdings LTd and moved to the Great Central Railway in September 1979, where it was restored to working order by September 1996. The Engine is currently based at the Mid Hants Railway (Watercress Line), where after another major overhaul it returned to operational service in September 2009, andcan currently (July 2011) be seen at the Severn Valley Railway until September. bonus tracks (The Athens Demos). The original was the fourth album by R.E.M.and was released in 1986.